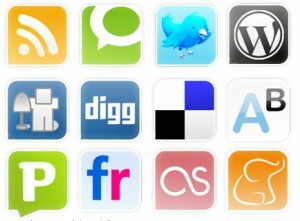 Social bookmarking is one effective way of increasing traffic and popularity. The existence of such ShareThis plugin, Sociable!, And allows us TweetMeme Button to bookmark this article online and share them through social networking sites like Facebook and Twitter. As we all know that to make the publication of an article is a lot of things we can do, such is to submit the article to multiple article directory sites, and also you can do in other ways, such as blog walking. Some are very effective ways, both in terms of time and the functions and benefits that we get. In social bookmarks plugin itself there are lots of choices, including: simple social bookmarks, social bookmarking buttons, tell friends connect, and some micro blogging application available. In addition, another benefit we can get if you install this plugin is that we do not need to submit an article one by one, we just simply sign up once on the social bookmarks service, and then automatically every article that we submit to the site, will be automatically registered as well to sites other social bookmarks. It’s social media and all need to be connected, there are Twitter, Facebook, Google Buzz, Yahoo Bookmarks, Delicious, and hundred social application around the the net. The question is how to added social bookmarks easier and faster. WordPress is the right answer, download and install AddToAny plugin and all of your pain will be gone. Empress Systems is an IT and consultancy service provider delivering high end web design & development. Our groundwork and expertise in this field makes us more vulnerable to create advanced applications. Our offshore development proves to be more economical. Our focus towards web 2.0 and skills in latest technology makes us to work efficiently. Each website has its own uniqueness layout, navigation, content engineering, and graphics. At Empress this is the basic that lays the route map for our approach in developing your website. The service that we offer covers all features of the electronic media. Our specialization includes, creating shopping carts, web templates, portals, matrimony websites, e-commerce sites, complete flash websites and Search Engine Optimization and Internet and Email Marketing services.